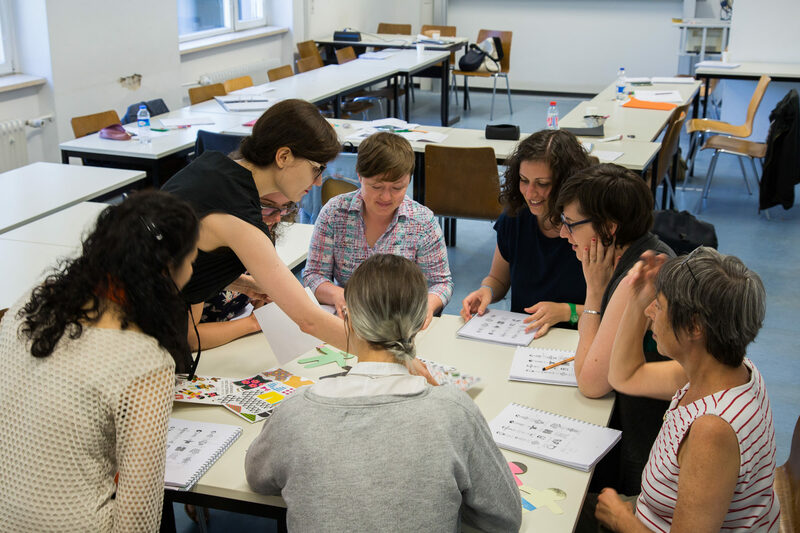 The 2nd Summer Program for Yiddish Language and Literature in Berlin will be held at the Institute for East European Studies at the Free University of Berlin from August 12th to 30th, 2019. Under the pedagogical direction of Yitskhok Niborski. For three weeks, the Institute for East European Studies hosts students from all around the world, offering a rich program of language courses and cultural activities. The workshops, conferences and film screenings enable students to strengthen their Yiddish language skills while connecting with other Yiddishists from faraway lands. In addition to five levels of language and literature classes ranging from beginner to high advanced, we will be instating a three-week pedagogical training seminar for emerging Yiddish teachers. Space is limited – register now ! Organizing Committee: Sharon Bar-Kochva, Sophie Do, Shahar Fineberg, Tal Hever-Chybowski, Natalia Krynicka, Elisabeth Landenberger, Miriam Schulz, Reyze Turner. The summer program is organized by the Paris Yiddish Center – Medem Library (Maison de la culture yiddish – Bibliothèque Medem), in cooperation with the Institute for East European Studies at the Free University of Berlin. Supported by the Fondation pour la Mémoire de la Shoah and the Szloma-Albam-Stiftung.